easy access, elevator, air con, free coffee, coca-cola, beer, bottled water, nice shower. 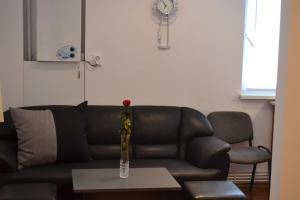 Excellent location (and price for that area), very clean and comfortable (looked exactly as in the photos). All facilities provided, including toiletries, hair drier, coffee, tea, umbrella. Nice bed, douvet and pillows. Lots of useful things in the studio e.g: scissors, hair dryer, air freshener etc. Host was very welcoming and apartment was a great location for walking into centre. 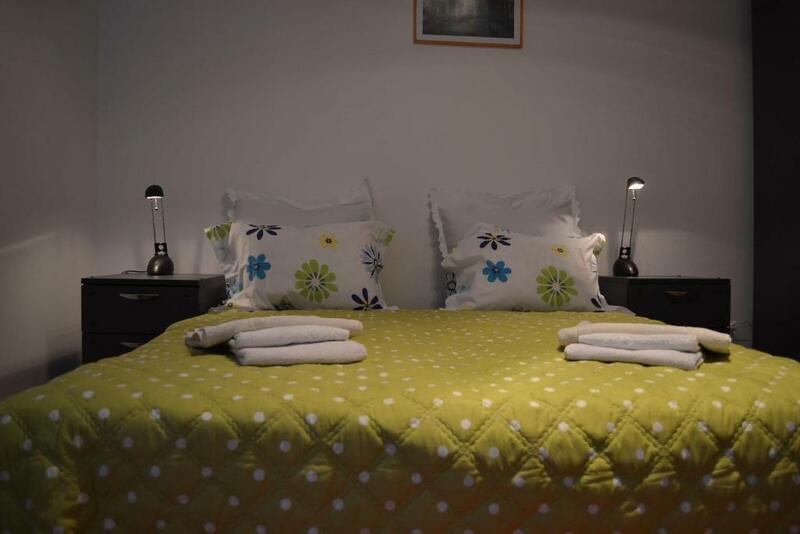 Self-catering apartment very good equiped, large and bequem bed, complimentary coffee, tea, beer, water inside refrigerater, quiet location near to the centre, payment in EURO or RON. Kitchen with everything what you need to make yourself at home. The owners are very kind and available. The apartment and the kitchen was well equipped. 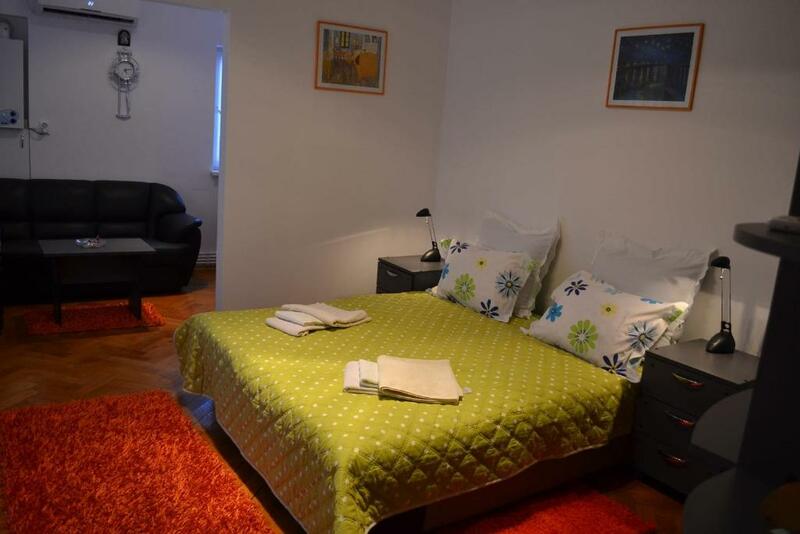 Lock in a great price for Victoria Studio – rated 9.4 by recent guests! One of our best sellers in Bucharest! 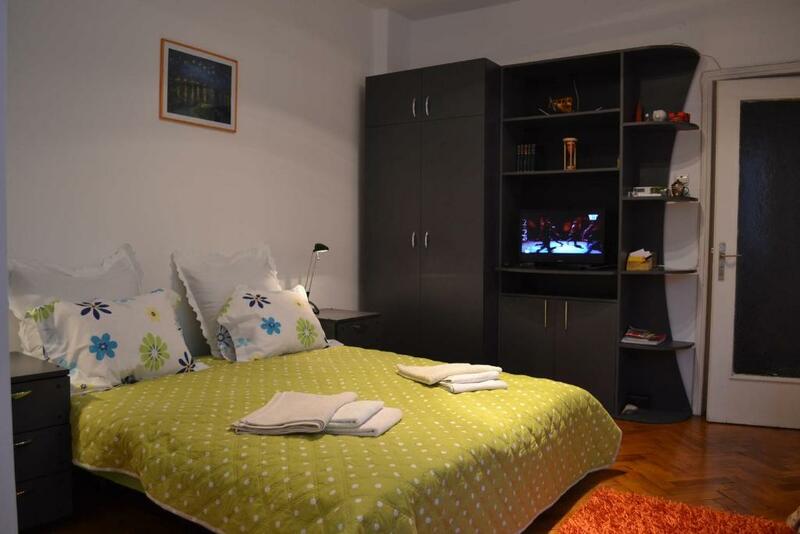 Centrally-located in Bucharest, a 2-minute walk from the Old Town and 1,300 feet from Cismigiu Gardens, Victoria Studio offers accommodations with air conditioning and free WiFi. The unit features a flat-screen cable TV, a well-equipped kitchenette with a dining area, a microwave, and a private bathroom with free toiletries. Two restaurants, a cafe and various shops can be found in less than 150 feet from Victoria Studio. The Palace of the Parliament can be reached in a 15-minute walk. The nearest airport is Henri Coandă Airport, 12 mi from Victoria Studio. When would you like to stay at Victoria Studio? Public parking is available on site (reservation is not needed) and costs RON 23.29 per day. Area Info – This neighborhood is a great choice for travelers interested in architecture, old-town exploration and food – Check location Excellent location – show map Guests loved walking around the neighborhood! House Rules Victoria Studio takes special requests – add in the next step! Please inform Victoria Studio of your expected arrival time in advance. You can use the Special Requests box when booking, or contact the property directly using the contact details in your confirmation. The owners are really, REALLY lovely and the apartment is just as cool as everyone before has described! 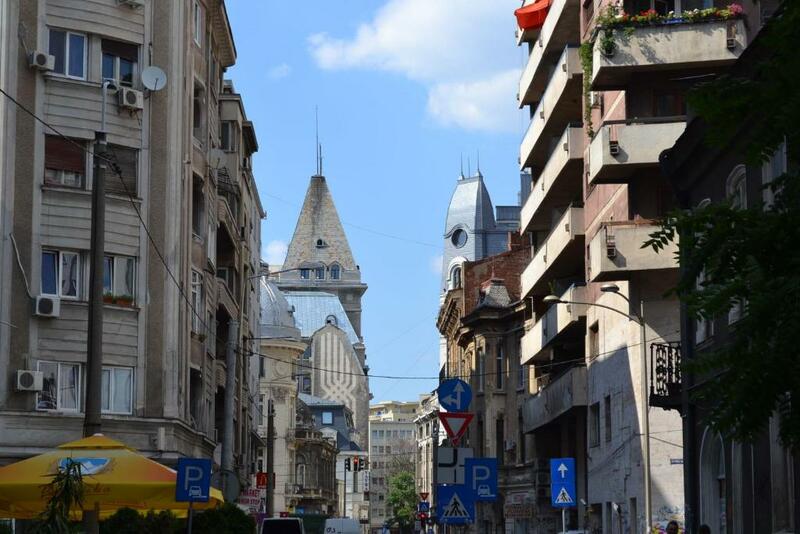 It is right in the Centre of Bucharest, everything is in walking distance. The bed is super comfy, so are the pillows, the bathroom has been remodelled and is beautiful (the smell comes from the bad sewage system and can be dealt with by closing the door to the bathroom), complimentary drinks can be found in the fridge, the heating worked really well and the apartment has been one of the cleanest, if not the cleanest, I have ever stayed in. Ever! If one is only accustomed to staying in 4 star hotels this is not the place for you. We, however, thoroughly enjoyed our stay in this fascinating city. București, vă iubim! The express bus 783 takes you for 8.60 RON from the airport to the city centre (via station Universitate) in approx. 40 to 50 mins. You can find more information on the airport website with a link to the time tables (with downloadable pdf). Important: you need to get the ticket before getting on the bus! You will be given one white ticket charged with two fares. The bus runs 24/7 and during the day comes by every 15 mins. The entrance to the building wasn’t very clear but found it in the end. The appartment was very well-equipped and clean. We had a lovely stay. Also, we forgot something and the hostess immediately contacted us to inform and arrange the return. The building and the communal stairs area were a bit old but this is common in the old town and it did not bother me at all as inside there was a real gem with all the comfort one needs. Excellent hospitality. The host waited for me at the flat at 4 in the morning when my flight arrived. 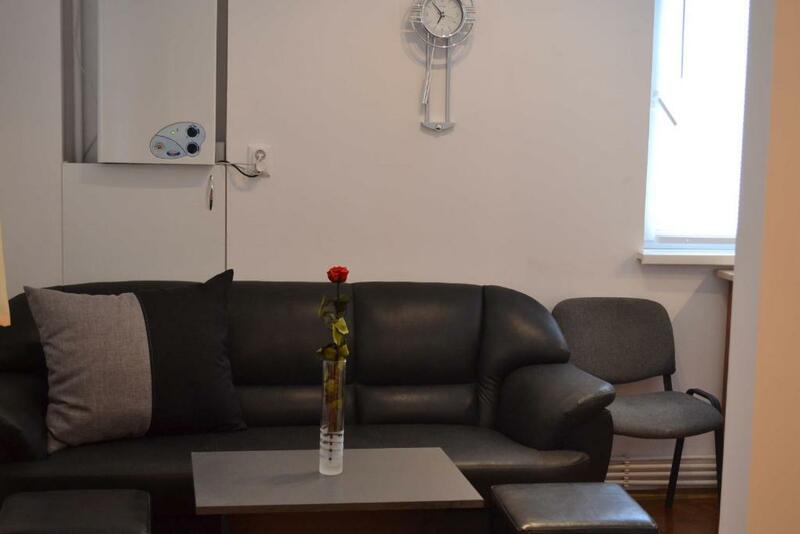 The flat was extremely clean and it had everything: air conditioning, extremely comfortable bed with topper mattress, well equipped kitchen with kettle, microwave, coffee maker, cutlery, plates, glasses, cups, even beer and juice in the fridge, water and some chocolates as well. There were towels, shower gels, shampoos and hand soap in the bathroom, really nice shower. The location is great, 5 minutes walk to the old town, a few minutes to Cismigiu Park, less than 10 minutes to the metro station. The area is safe, quiet but the apartment has got very good soundproof as well. There was a concert in the old town on a Saturday but when I closed the windows you could not hear anything. The host was really kind, hospitable and easily reachable by phone. I could do a late check out. Everything was amazing, I definitely recommend the apartment and I will certainly stay there again.